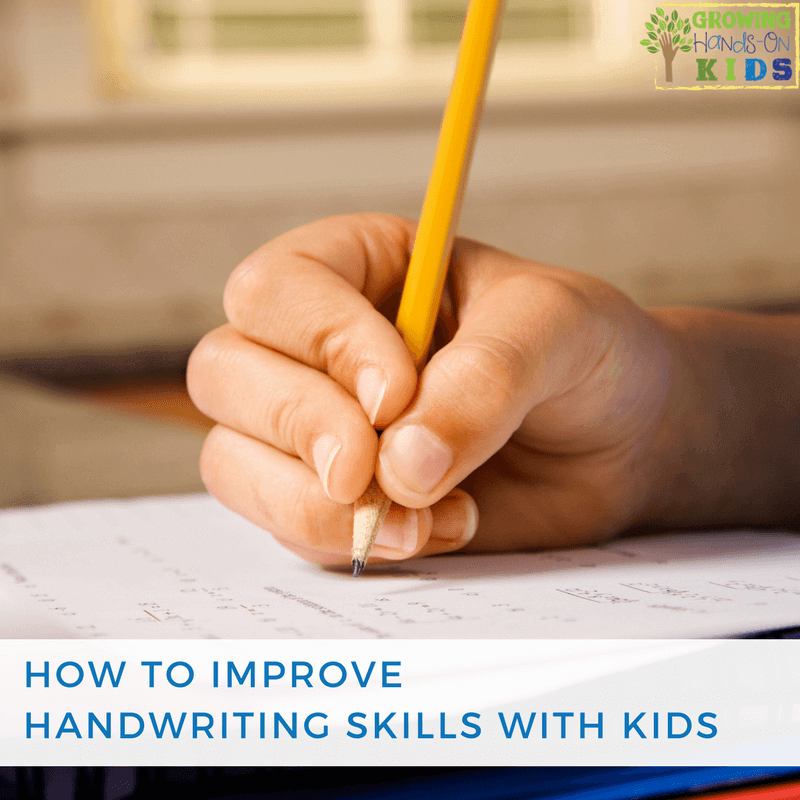 Handwriting skills are an important developmental task and activity for kids. Through handwriting they are able to express themselves and communicate with the world around them. 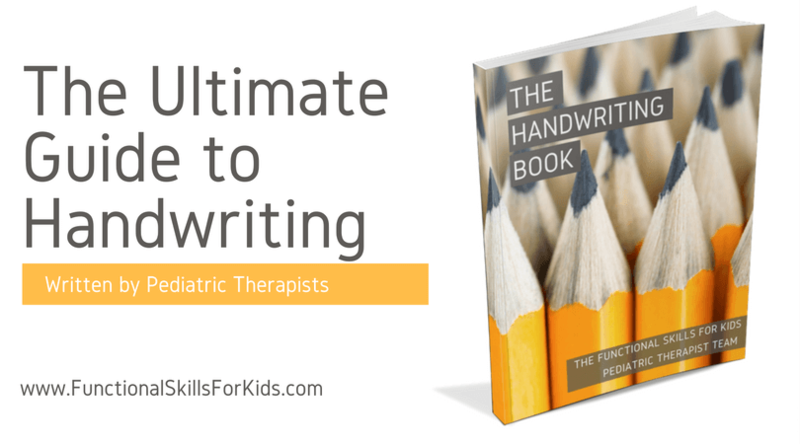 Improving their penmanship, legibility, pencil grasp, and working on problem areas are all important things that need addressed, whether you are a homeschool parent, teacher, therapist, or just supplementing your child's classroom activities. I wanted to share some ways on how to improve handwriting skills with kids and have rounded up all the posts I have written on this topic here on GHOK. Typical Fine Motor Developmental Milestones for Ages 0-6 – Also comes with a free printable of each age level. You can also find more information on fine motor skill development. There are two types of pencil grasps that are considered efficient for handwriting; the tripod and the quadruped grasp. You can learn more about those two types of grasp below. Proper Pencil Grasp for Writing – Comes with a step by step developmental sequence and explanation as well as pictures of each type of grasp. 5 Tips for Pencil Grasp Development with Preschoolers – This is a guest post I wrote over on Learning 2 Walk about pencil grasp as well. Pre-writing skills are the pre-cursor to handwriting. They consist of an age appropriate sequence of lines and shapes that toddlers and preschoolers learn in order to later on form letters and numbers. 6 Pre-writing Activities for Preschoolers – This was a 6 week series I did on my blog with activities to encourage pre-writing lines and shapes. 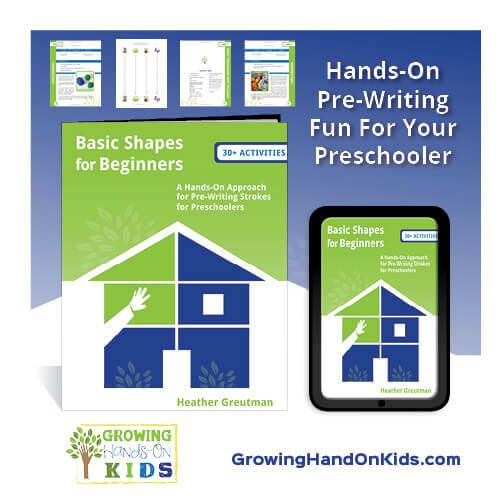 Basic Shapes for Beginners – A Hands-on Approach to Pre-writing Strokes for Kids is an ebook I wrote to get you started with pre-writing skills at home for ages 2-5. If your child is in Occupational Therapy it is important to practice the skills they are working on at home. This post discusses some ways to do that. For homeschoolers I have a special series on my site with how to teach handwriting to your preschooler through elementary age student. Cursive can be a great alternative for children who are struggling with print. Plus it's important to at least teach your child how to sign their name in cursive. Here are some cursive resources for you. Should I Teach Cursive or Print Handwriting First? Is Cursive Handwriting Still Important to Learn? You've most likely come to this page because your child is struggling with handwriting in some way. 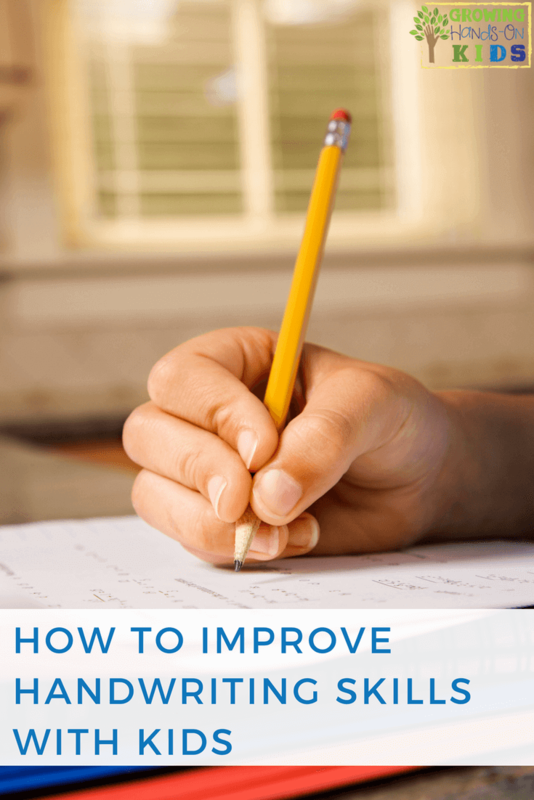 Here are some tips for some common handwriting problems. For more tips and ideas, you can sign up to receive my 5 days of handwriting and pre-writing skills e-mail series. It's completely free and you'll receive all 5 days worth of e-mails in your inbox. Just enter your e-mail address below and click the green “click here” button. You'll need to head over to your inbox and confirm you want to receive the e-mail series. Then look for a welcome e-mail in your inbox (double check your spam folder or promotions tab for Gmail users if you don't see anything in your inbox). I also have a Pinterest board dedicated to Handwriting Skills and Activities that you can follow for more ideas. Follow Heather | Growing Hands-On Kids's board Handwriting Skills and Activities on Pinterest.And be sure to pin this post or bookmark it and check back for more posts that are added as I write them.